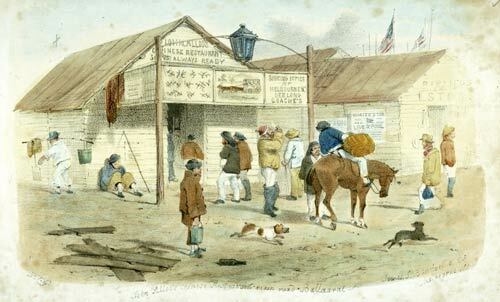 Many miners came to New Zealand from Australia following the gold rushes in Victoria in the 1850s. Australian place names in New Zealand are the legacy of these miners, who perhaps hoped that they would bestow similar riches. On the West Coast there is a Ballarat Creek and Ballarat Terrace, and in Otago is Ballarat Hut and two Ballarat Creeks.